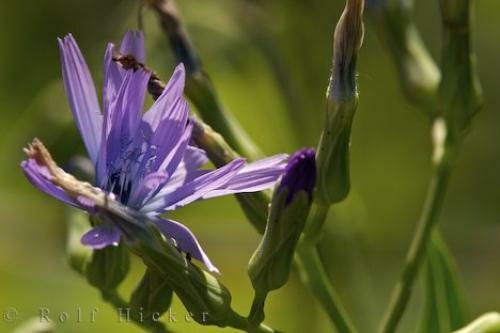 A flowering chicory plant otherwise known as Cichorium intybus L, in the Provence, France. La Source Parfumee Gardens, Alpes Maritimes, Provence, France, Europe. Photo of a Cichorium intybus L plant growing at La Source Parfumee gardens in the Provence.